Please visit the Wiley or Amazon pages for publisher details (and, while you're there, buy it :-) ). It is used as supplementary reading by James Sterbenz from the University of Kansas for his networking courses (e.g. High-Performance Networking, 2008 and Introduction to Communication Networks, 2006). Google told me :-) that Jin Zhao from Fudan University, Shanghai used my book a whole lot for his "Congestion Control and Quality of Service" course in 2008. While it's not mentioned on the course's website, he made a whole lot of slides from it (and acknowledged the book in the slide sets). The slides are available for download from the course website. and of course, I use it myself: as supplementary reading for my Computer Networks lecture, and as primary material for my lecture "Internet Technology". Moreover, I use it for Ph.D. students and master students, and their feedback is always positive. Do you use this book? Please let me know - any feedback is more than welcome! Please drop me a line if you notice a malfunctioning link, or if you just want to give me feedback about the book (or report errors)! Page 46, first sentence of second paragraph: "it a well known fact..." should read ""it is a well known fact...". Thanks to Lukas Demetz for spotting this mistake! Page 51, line 3 of section 2.17.3: "linear programming" should be "nonlinear programming". Page 79, section 3.4.7, first bullet: this begins with "In step five of the original algorithm" but it should be "In step one of the original algorithm" (the second bullet, just below, talks about step five too, and here this is correct). Thanks to Kristian Hiorth for spotting this mistake! Page 216, line 3: "SCTP-based TCP" should read "SCTP-based FTP". Section 4.6 includes BIC and CUBIC, the latter of which borrows its key idea of basing the rate of increase on elapsed time since last backoff directly from HTCP, which was published over a year before CUBIC appeared. The debt to HTCP is acknowledged by Injong Rhee both in his white paper on CUBIC and in his pfldnet paper. HTCP should definitely be included in this section - I apologize for this omission. In April 2005, some progress was made regarding the issue that is mentioned in the last sentence. This chapter starts out with a reference to Keshav's thesis (scroll down a bit), which is an important congestion control reference. This simulation script was used to generate figure 2.2. Many of the basic principles in this chapter are nicely described in papers by Raj Jain, whose list of publications is a really good starting point for background reading. This is also the place to look for the paper that introduced the AIMD diagrams. Speaking of important papers, this is the origin of the end-to-end argument; if you're a Ph.D. student working on computer networks, you simply must read this paper - it will help you understand why some things are the way they are in today's Internet. Phase effects are described here. Here are slides from Van Jacobson's SIGCOMM 2001 speech (mentioned in section 2.14.2). This tutorial by Jean-Yves Le Boudec discusses fairness issues; proportional fairness is a particularly interesting concept that was introduced by Frank Kelly. This chapter is mainly based on RFCs, which can be obtained from the RFC-editor (and a million other places). For a quick reference to TCP RFCs, I recommend figure 3.10 on page 88 and the TCP roadmap document, which is now an RFC. Of course, you also shouldn't miss the famous congestion avoidance and control paper. Sally Floyd made significant contributions to the congestion control mechanisms in today's Internet; she maintains special web pages, e.g., about ECN, SACK, RED... her website, and the ICIR pages in general, are good sources for any such information; for instance, there's the TBIT page which documents the current state of TCP implementations in the Internet. 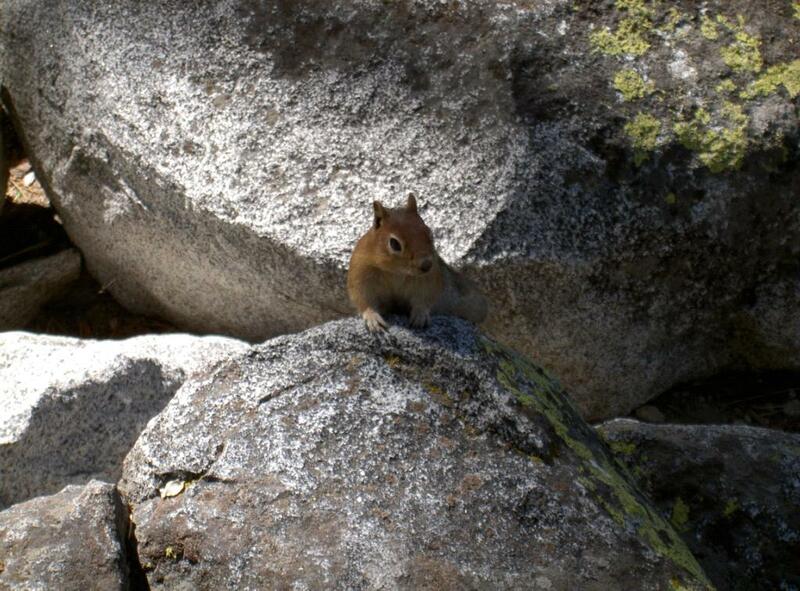 This is the squirrel that is mentioned in footnote 13, section 3.4.2 (page 72). Some SCTP material is here. ATM ABR is thoroughly described in the freely available traffic management specification of the ATM Forum. Section 4.6 should, but does not, include HTCP. My apologies! Many of the enhancements that are described at the beginning of this chapter are specified in experimental RFCs. For these and other TCP enhancements, I would once again like to recommend Sally Floyd's page - the number of literature pointers that she maintains is truly impressive! The Congestion Manager (section 4.2.2, page 119). These slides by Van Jacobson are mentioned in section 4.4 (page 129). Steven Low's group is the place to look for papers on REM, FAST and a lot of maths. The DCCP page at ICIR. Injong Rhee is the author of TEAR, BIC and CUBIC; he maintains pages for each of these protocols. Similarly, Saverio Mascolo's homepage is probably the best source for information about TCP Westwood. Highspeed TCP and Quick-start are, again, Sally Floyd projects, and CADPC/PTP is my own little contribution to the congestion control community. I maintain a dedicated webpage. 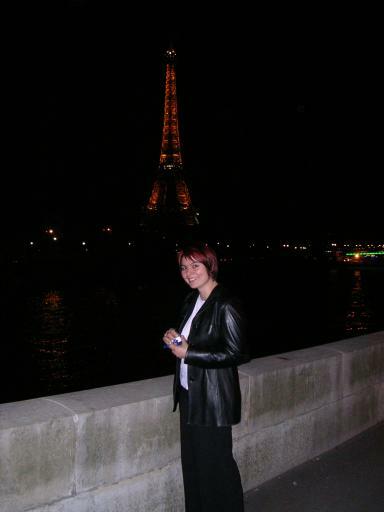 Dina Katabi is the main author of XCP. Section 5.1, "the nature of Internet traffic" - here, again, I recommend Sally Floyd's related page. For more information about QoS, I recommend the book "Quality of Service in IP Networks" by Grenville Armitage. Some of the things in this chapter are my own research efforts - e.g., "Tailor-made Congestion Control" is a FWF (Austrian Science Fund) supported research project at the University of Innsbruck. If you're interested in the most recent congestion control research efforts, it might be a good idea to look at the online technical programs of the ACM SIGCOMM and IEEE INFOCOM conferences, both of which contain freely available papers. ACM CCR is also a good source that is freely available to the public. CAVT has a webpage of its own. I maintain a small ns webpage, which contains the NSBM tool and the throughput.pl perl script. This is not mentioned in the book, and not related to congestion control: if you like these tools and plan to use them in a general networking course, you might also like the irvtool which is nice for teaching routing basics. The Internet Engineering Task Force (IETF) and the Internet Research Task Force (IRTF) with its end-to-end research group. 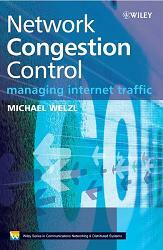 and Internet congestion control research group (iccrg).